One GREENIES™ Fresh Dental Treat is all it takes for clean teeth, fresh breath and a happy dog. 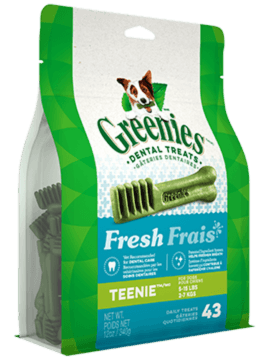 Your dog can't wait to sink their teeth into these delicious dental dog chews because they are bursting with breath-freshening mint flavor and feature a delightfully chewy texture that fights plaque and tartar. Irresistibly tasty and incredibly powerful, GREENIES™ Treats for Dogs are recommended by veterinarians for at-home oral care. 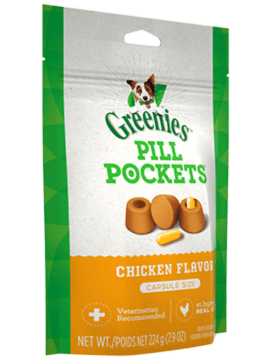 Best of all, these natural dog treats are made with highly soluble ingredients that are easy to digest. 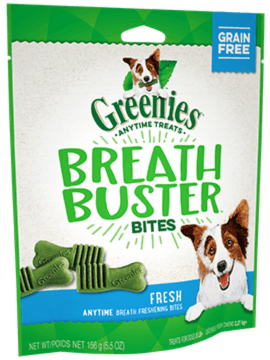 Give your dog the mouth-wowing treat that helps promote oral health with GREENIES™ Dog Treats.